Thank you for visiting www.otishomesales.com! This is a one-stop real estate website for all your home buying and selling needs in Bedford, PA. Marilyn has been the #1 Realtor in Bedford County for 2015, 2016 and 2017 and is known throughout Beford County for exceeding client satisfaction. 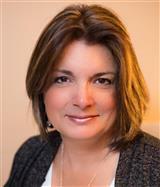 She will help make your search for a new home an enjoyable experience in the Bedford area. Marilyn knows her clients want the latest statistics on neighborhoods in Bedford County and encourages them to check out her website for local neighborhood and school details, mortgage information, interactive maps, listings of homes for sale, and many more features. Please feel free to contact her if you have any questions about the Bedford real estate market, or buying or selling a home in Bedford, PA. Thank you for visiting www.otishomesales.com!